I.VA.CO. 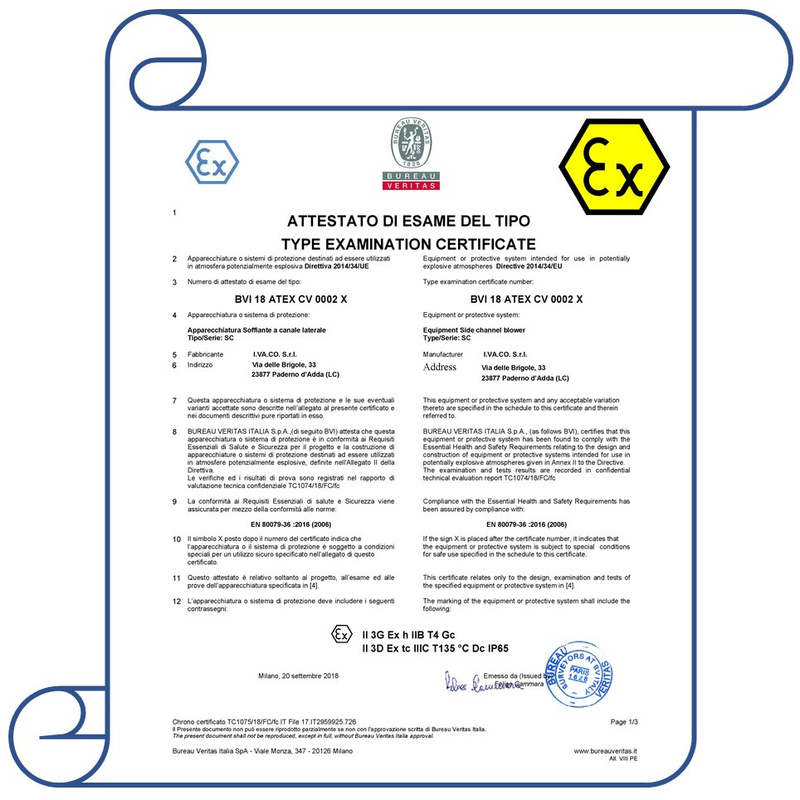 has recently obtained the ATEX certification issued by the certification body Bureau Veritas for the side channel blowers. This certification applies to all the range of our side channel blowers that are, therefore, suitable to be used in potentially explosive atmosphere, according to Directive 2014/34/UE. Bureau Veritas is an authority that inspects, verified the compliance and confers certification to the product examined concerning Quality, Health and Safety, Environment and Social Responsibility (QHSE). Bureau Veritas is an Entity recognized and accredited by the most important national and international organizations.